Girls love the pretty pioneer dress detailing on our Early American Girl costume set in children's sizes from Candy Apple Costumes. The light pink floral print dress features short-sleeves with white eyelet lace trim and an elastic waist. 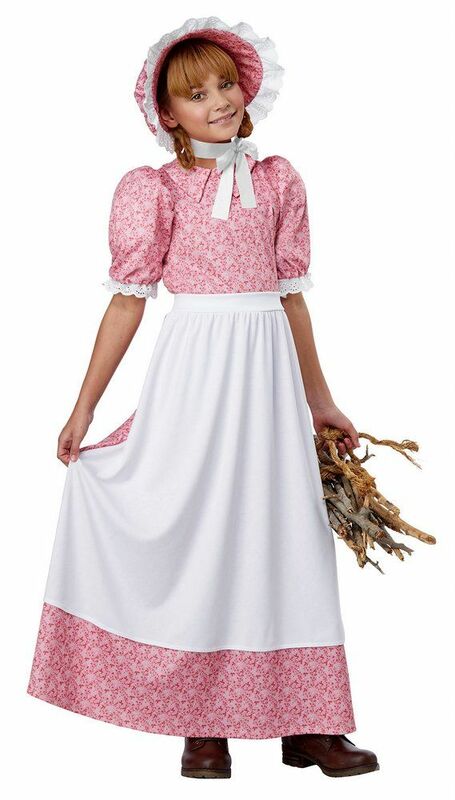 A matching pink floral bonnet with eyelet lace trim and a white apron that ties around the waist are included with this popular pioneer dress costume set for girls. Our custom sizing chart for this costume can help you decide on a girl's small, medium, large or x-large. 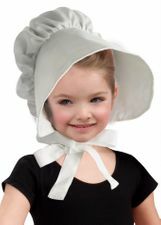 Note: Ties on the bonnet may be white or the same floral fabric as the bonnet.